There are 54 Assisted Living Facilities in the Round Rock area, with 12 in Round Rock and 42 nearby. The average cost of assisted living in Round Rock is $3,987 per month. This is higher than the national median of $3,346. Cheaper nearby regions include Pflugerville with an average starting cost of $3,321. To help you with your search, browse the 319 reviews below for assisted living facilities in Round Rock. On average, consumers rate assisted living in Round Rock 4.5 out of 5 stars. Better rated regions include Leander with an average rating of 4.6 out of 5 stars. Caring.com has helped 6 families in Round Rock find high-quality senior care. To speak with one of our Family Advisors about assisted living options and costs in Round Rock, call (855) 863-8283. Money magazine named Round Rock as the seventh-best American small city in 2008 and was the only city in Texas to appear in the top ten on this list. Round Rock’s consistently rapid growth is primarily due to young families, resulting in a low senior population of 7.4 percent. Nevertheless, its location in the Austin metropolitan area means there are 59 assisted living facilities near Round Rock, including 12 within the city and another 47 in surrounding cities like Leander and Pflugerville. These facilities also provide seniors with assistance in daily living as well as a residence. 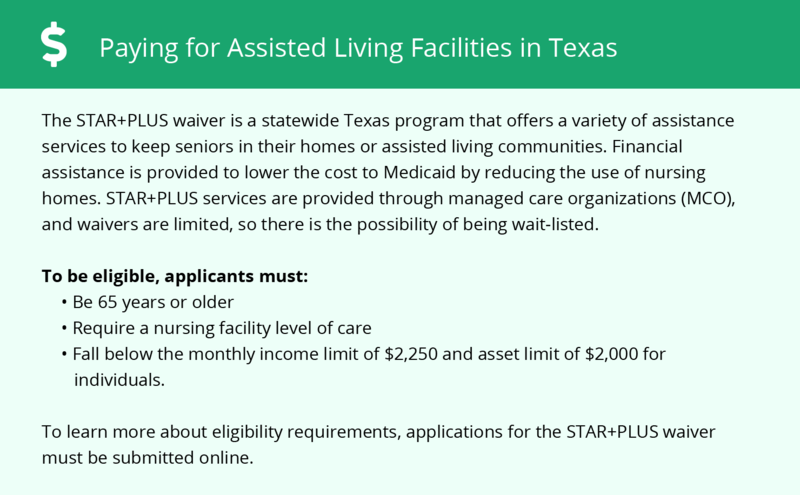 The Department of Health and Human Services regulates assisted living facilities in Texas. Round Rock’s climate provides seniors with an overall comfort level of 66 out of 100. This score means that this city has an above average number of days in the 70s with low humidity. However, the average high temperature in July is 95 degrees, so outdoor activities should be restricted during the summer. The overall cost of living in Round Rock is about four percent above the national average, largely due to its proximity to Austin. Housing is particularly expensive at 26 percent above average, while groceries are 14 percent below average. Senior citizens should find Round Rock to be affordable, provided their housing is already paid for. Round Rock is generally safe for seniors with an overall crime rate of 23.69 per thousand people per year, compared to the state average of 31.94 for Texas. The rate of violent crime is especially low at 1.45 per thousand people per year. Property crimes are also below average in Round Rock at 22.24 per thousand people, compared to 27.6 for Texas. The Austin metroplex maintains its own transit service, with multiple routes in Round Rock. Seniors 65 and over can obtain an ID card for a nominal fee that entitles them ride for less than half the standard fare. A paratransit service for disabled passengers is also available. The Allen R Baca Center hosts regular events for adults 50 and up, including card games and hobbies. It also has dedicated facilities for weight training and fitness classes. Special events sponsored by this senior center include day trips and movies. The Round Rock area is home to world-class medical facilities, including St. Davids Round Rock Medical Center and Austin Regional Clinic, in the event of medical emergencies or illness. Assisted Living costs in Round Rock start around $3,987 per month on average, while the nationwide average cost of assisted living is $4,000 per month, according to the latest figures from Genworth’s Cost of Care Survey. It’s important to note that assisted living rates in Round Rock and the surrounding suburbs can vary widely based on factors such as location, the level of care needed, apartment size and the types of amenities offered at each community. 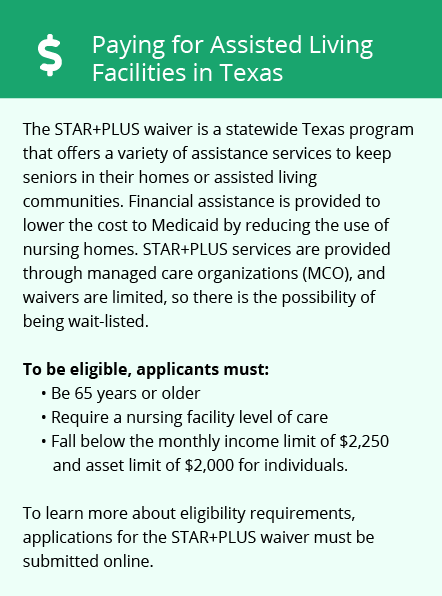 Seniors who need financial assistance for assisted living in Texas may be eligible for the Texas Community Care for the Aged and Disabled program. This program allows seniors and disabled individuals who are at risk of being placed in a nursing home to remain living at home or in a community setting. STAR+PLUS is the state's Medicaid program and may offer seniors some relief in paying for costs associated with assisted living. To see a list of free assisted living resources in Round Rock, please visit our Assisted Living in Texas page. Round Rock-area assisted living communities must adhere to the comprehensive set of state laws and regulations that all assisted living communities in Texas are required to follow. Visit our Assisted Living in Texas page for more information about these laws.